Kittens are never too big to snuggle themselves up into the tiniest possible containers. And cat dishes are no exception. 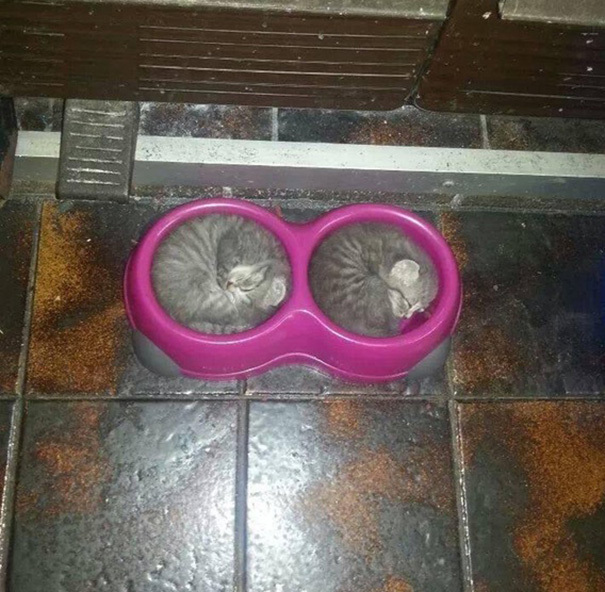 All it takes is some hard work and determination to curl up and make their cat bowls their new beds. And how doesn’t like the sight of tiny kittens curled up into little balls of fluff?